Your Santa Barbara, Ventura, Los Angeles or Orange County home should be providing you with a comfortable, healthy environment, while guaranteeing you’re not spending astronomical amounts on energy bills. 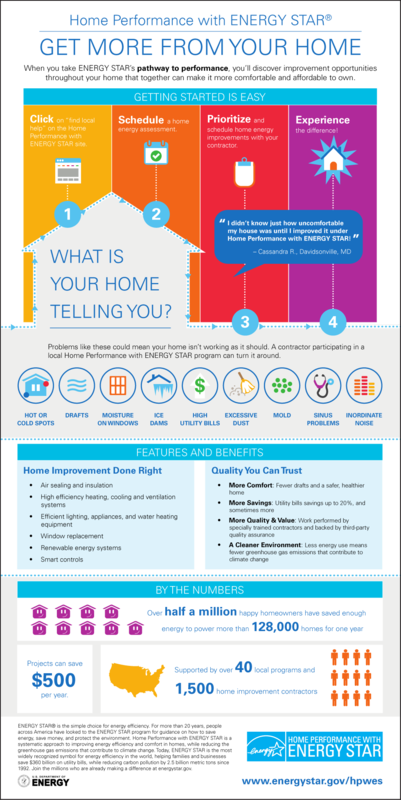 An energy efficient home is crucial for conserving environmental resources, saving money and improving year-round comfort. Although you might not be able to see it, you will be able to feel the difference a more energy efficient home makes. If every room in your home is the ideal temperature and your breathing air is pure, you’ll be happier and more comfortable while spending time in your home. Perhaps it’s a subtle difference, but a high-efficiency home makes an important impact on your quality of life. Energy efficient homes waste less energy and cut down significantly on greenhouse gas emissions that pollute our atmosphere. Reducing your home’s carbon footprint affects the environment in a large, positive way. By using less energy, your energy costs will decrease. This will prevent you from spending unnecessarily on large bills and allow you to save more for what truly matters in life. Your home can be made more energy efficient with services including insulation and air sealing. By ensuring conditioned air isn’t making its way out of your home and outdoor air isn’t making its way in, you’ll experience more consistent temperatures in your home throughout the year and see an improvement in your indoor air quality. Since you’re paying to keep your home cool or warm, these services help prevent that money from disappearing as your home leaks. Insulation in conjunction with air sealing is a major step in increasing your home’s efficiency. Installing high-efficiency air conditioning and heating units in your Santa Barbara, Ventura, Los Angeles and Orange County home will also go a long way to ensure you’re seeing all the benefits an energy efficient home can bring. With over 30 years of experience, BEST-Techs is your local Santa Barbara, Ventura, Los Angeles and Orange County specialist in energy efficiency. BEST-Techs will provide the home efficiency services your home needs to become a money and energy-saving machine. Contact BEST-Techs to learn more about how we can make your home more efficient!